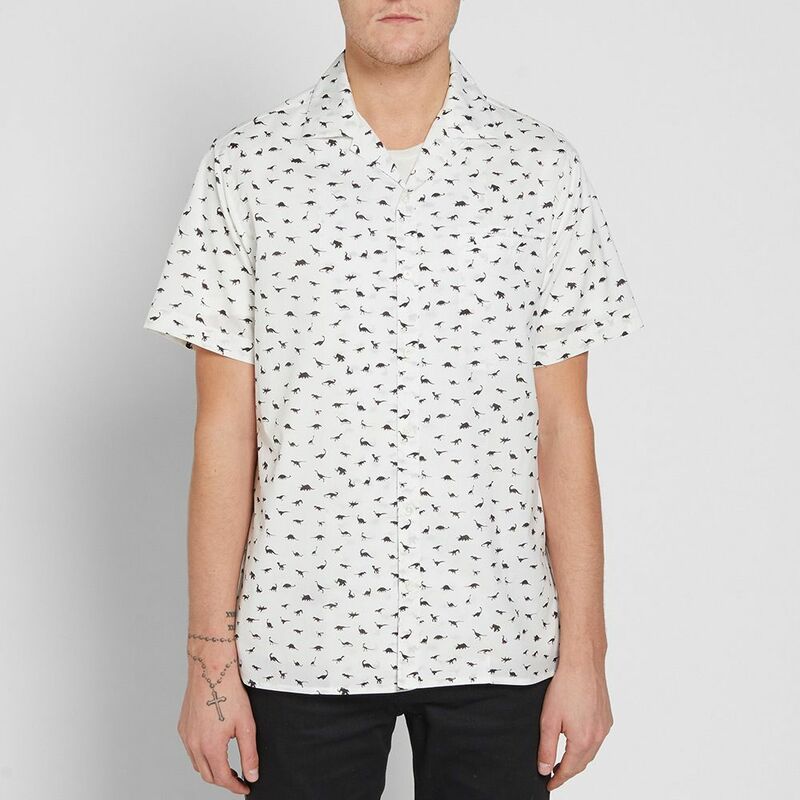 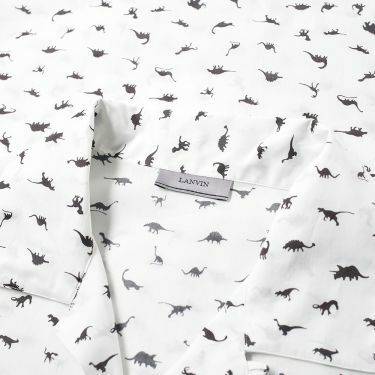 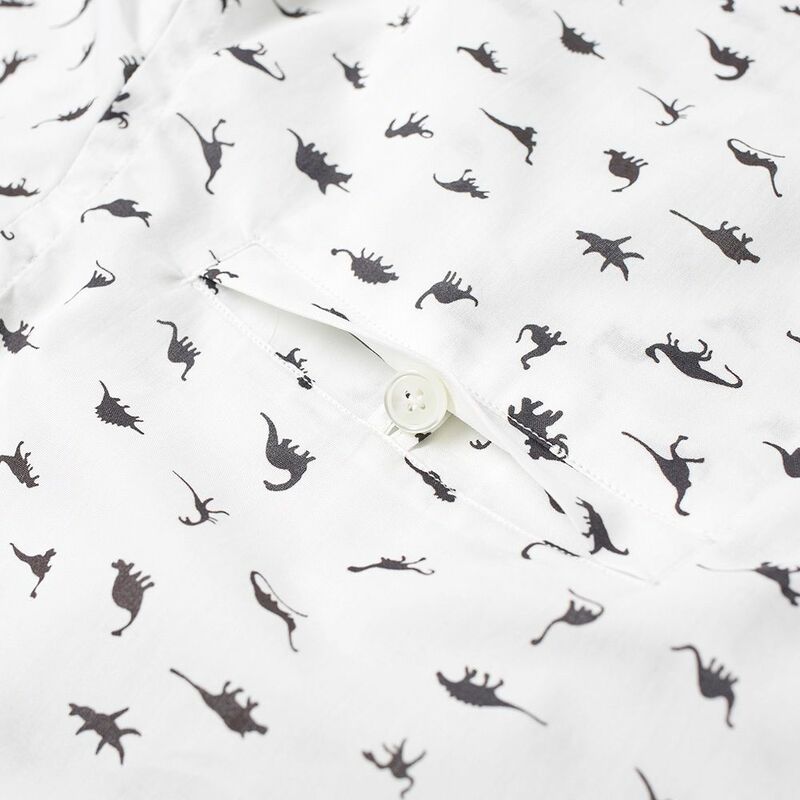 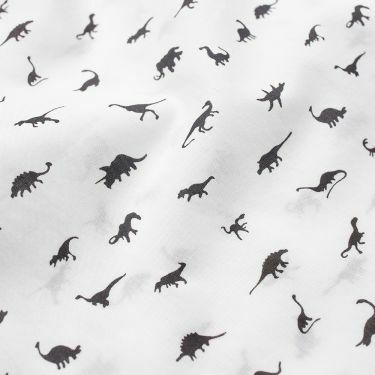 Parisian brand Lanvin go Jurassic this season with retro inspired prints featuring all creatures prehistoric. 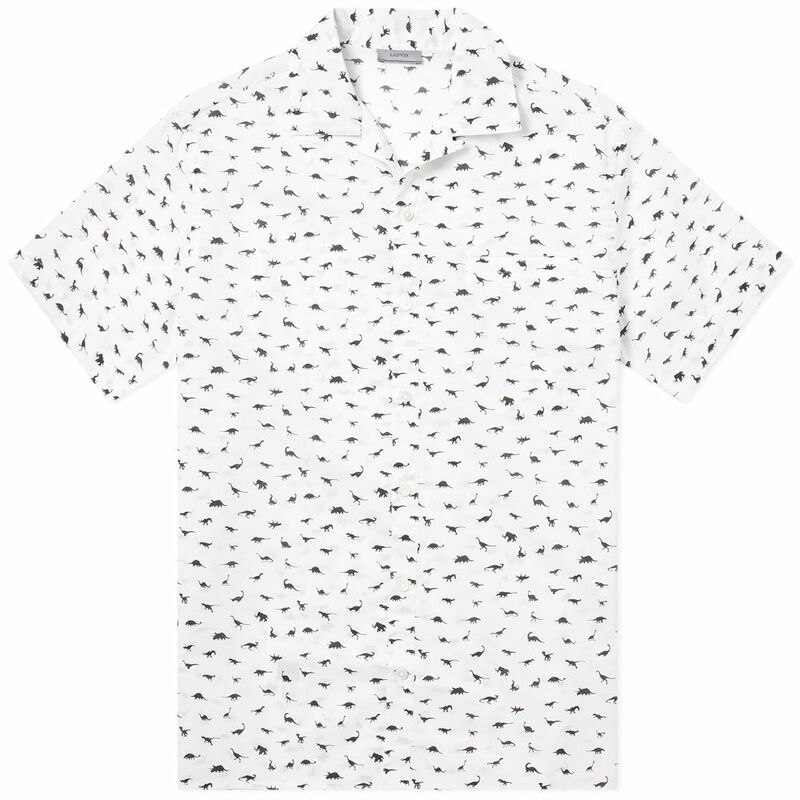 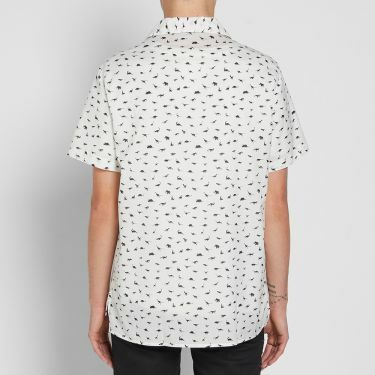 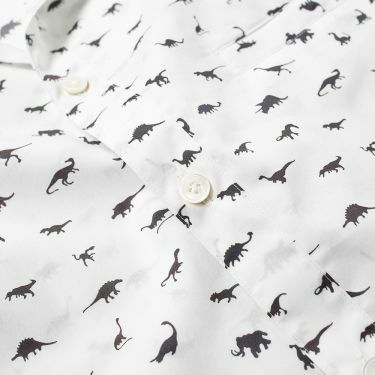 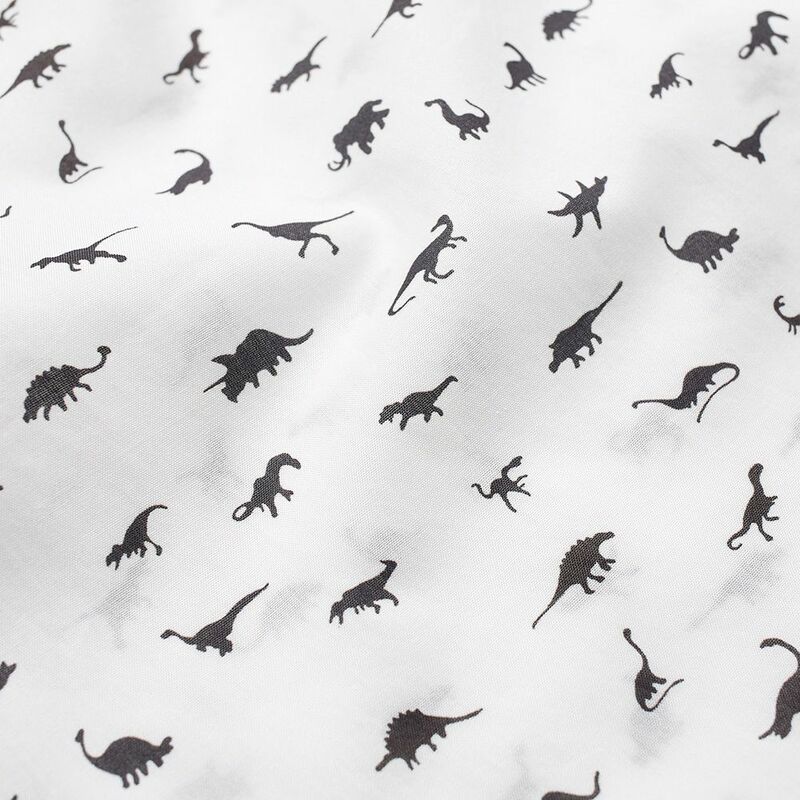 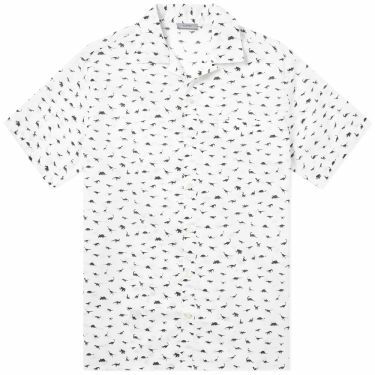 Here, this Dinosaur Vacation shirt is cut from pure cotton and fastens simply with tonal pearlescent buttons to its camp collar and placket. 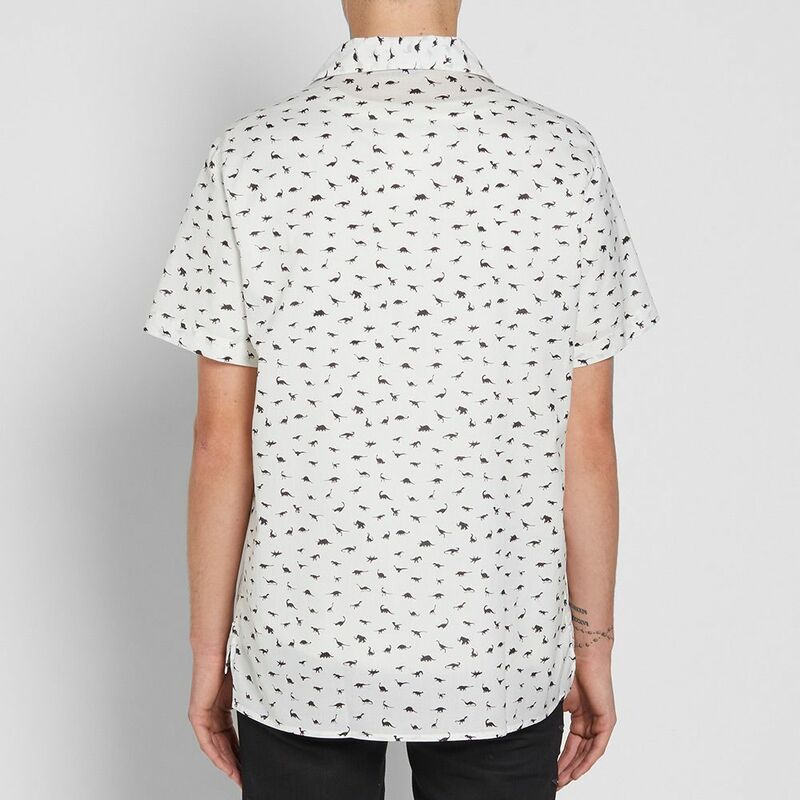 A single patch pocket to the chest and splits at the side seams add neat finishing touches to this playful monochrome style. 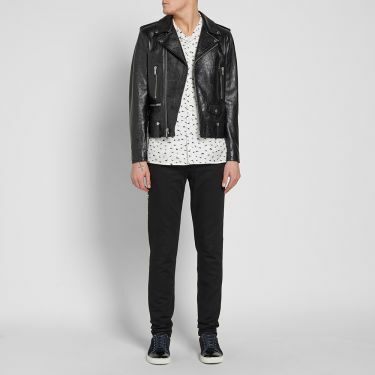 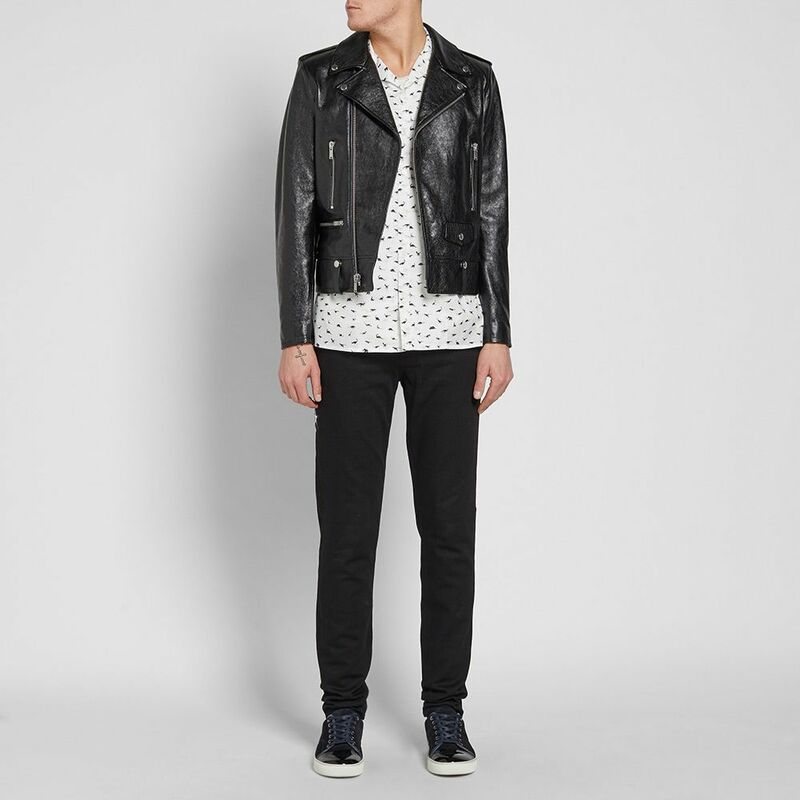 Model is 6'2"/188cm with a 37"/94cm chest and wears a size 39.